Rusty Rierson has opened for and shared the stage with numerous major artists around the USA along with many other countries. He is a Country and Gospel artist. His latest album is “What Happened to my Country” can be heard on the Rocking M Radio network. 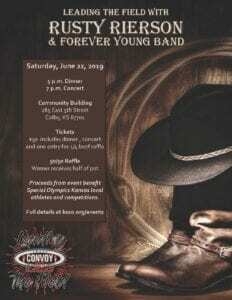 Rusty is a native of South Central Kansas and will be coming to Colby, Kansas for this concert. 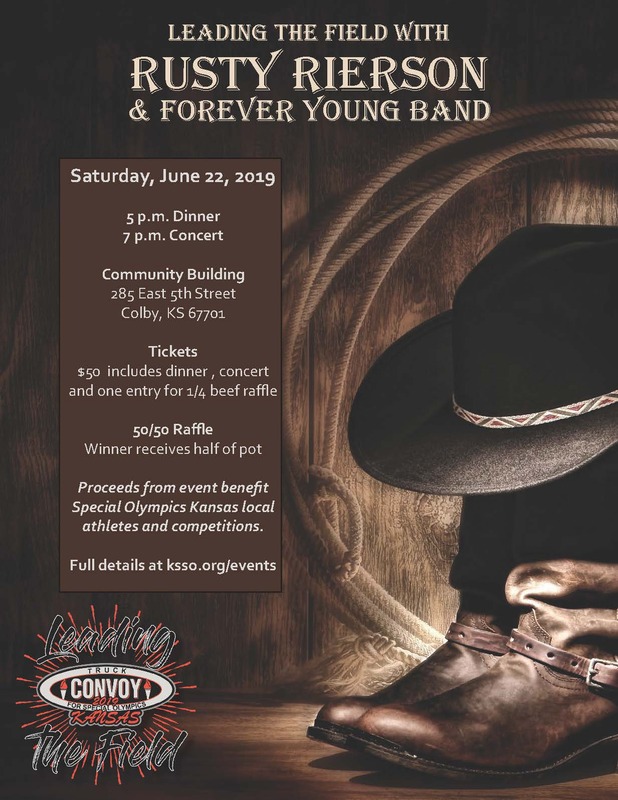 Date/Time: Saturday, June 22, 2019; Dinner at 5 p.m. and concert at 7 p.m.
Tickets: $50 – includes entry to concert, smoked pulled pork meal and one entry into the drawing for quarter of beef. Must be present to win. Meal is provided by Tracey Galli with the American Legion. 50/50 Raffle – $5/ticket or $20/5 tickets. $50/arm length. Winner will receive 1/2 of what is collected from 50/50 raffle sales. Proceeds will benefit Special Olympics Kansas and western region athletes and events including West Region Basketball, Track and Bowling as well as State Basketball.